(Barrie, Ontario) October 28, 2014 – Senior Stylist, Lindie Blackwell, is a finalist in the Master Colourist category at this years Contessa Canadian Hairstylist of the Year Awards presented by Salon Magazine. Lindie’s work was selected from thousands of applicants and she is now one of ten category finalists, with the winner to be announced at the Contessa Gala on November, 9th at the Westin Harbour Castle in Toronto, Ontario. To enter the competition Lindie Blackwell was required to submit a collection of five different coloured hairstyles showing a before and after picture of each person. The collection of photos from all entrants were then put through two rounds of judging to determine the finalists. The first round was judged live by experts in the Canadian beauty industry, with the second round being completed online by a panel of international beauty experts. Previous panels of judges have included beauty editors, photographers, and celebrity hairstylists. The Contessa Canadian Hairstylist of the Year Awards started in 1988 and has a proven track-record of excellence. The awards are open to all licensed beauty professionals across Canada. The Master Colourist category judges on the overall hairstyles but also the technical and creative innovation regards to the hair colour used in each of the submissions. There are twenty-three category awards to be given out at this year’s gala with a focus on hairstyling, colouring, make-up, and nail beauty. Lindie Blackwell’s collection of work can be found on the Contessa Finalists page, https://salonmagazine.ca/contessa-finalists-2015/258-master-colourist/2210-contessa-finalist-collection-by-lindie-blackwell.html. 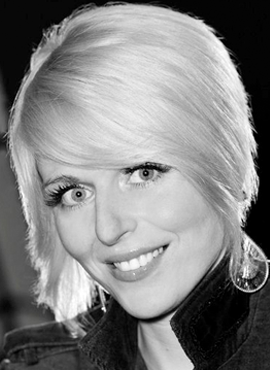 Lindie Blackwell, is a Senior Stylist working out of Gravity Salon and Spa in Barrie, Ontario. She is also a stage artist and member of Goldwell’s North American Artistic Team, travelling throughout Canada and the United States sharing her passion and expertise with fellow hairstylists. Her work has been published in many trade magazines and she has also appeared on Breakfast Television. 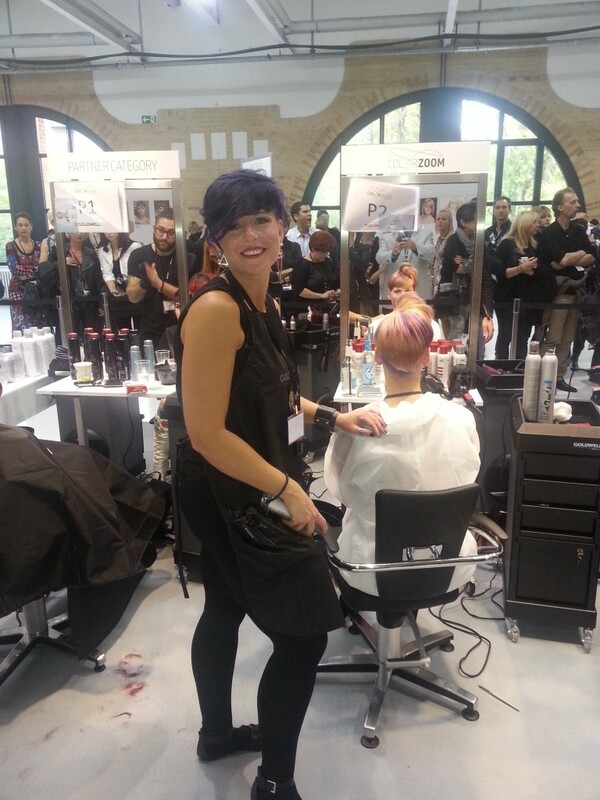 (Barrie, Ontario) October 21, 2014 – Senior Stylist, Jamie Dennis, represented Canada at the recent Goldwell Color Zoom Challenge that took place in Berlin from October 11th to 13th, 2014. 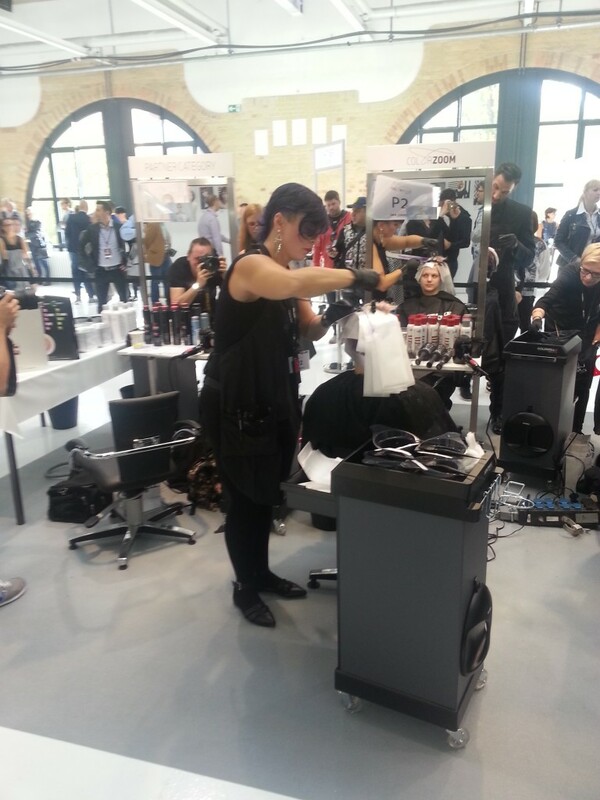 She was selected to be the Canadian Finalist in the Partner Category by a panel of Goldwell judges, which allowed her to attend and compete against twenty other international competitors in a head-to-head challenge during the global event that took place at Station Berlin earlier this month. The Goldwell Color Zoom Challenge is an annual international hair coloring competition with 70 finalists from 28 different countries competing at the global event. To become a finalist and represent Canada, Jamie Dennis was required to submit a photo of a unique hair color style she completed using Goldwell products. Her photo entry was then judged against all other entries from Canada in the Partner Category; where she was selected as the finalist to represent Canada. 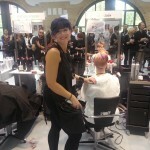 The Goldwell Color Zoom Challenge in Berlin required Jamie to compete against 20 other international competitors in a live event that saw each finalist recreate their regional winning color style. The Partner Category was eventually won by Lok Chan of Hong Kong, with Lidia Malez from Russia winning the New Talent Category, and Hardy Tsai taking top honors in the Creative Category. The Goldwell Color Zoom Challenge is an annual event and the next global event will take place October 3-5, 2015 in Las Vegas, Nevada. 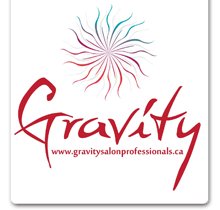 Jamie Dennis, is a Senior Stylist, working out of Gravity Salon and Spa in Barrie, Ontario. 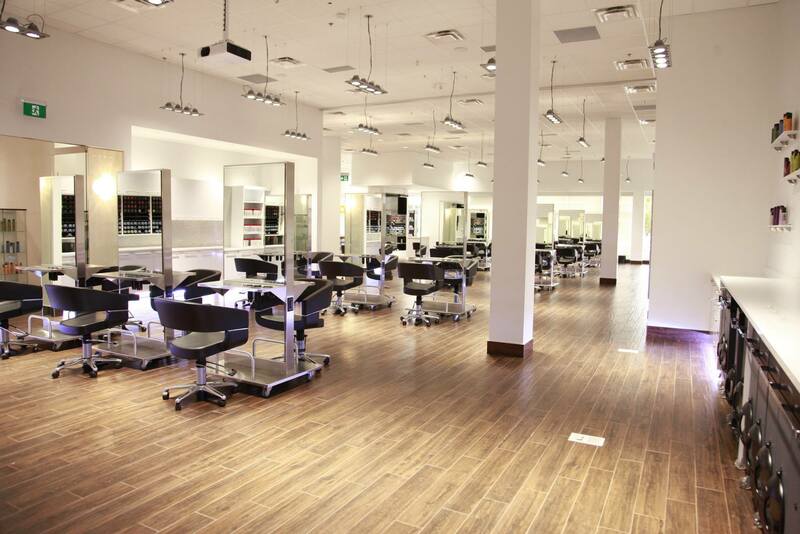 In addition to her hairstyling and coloring, for which she has become renowned for her innovative work with curly hair and unique hair types, she also develops stylist programs for Goldwell. 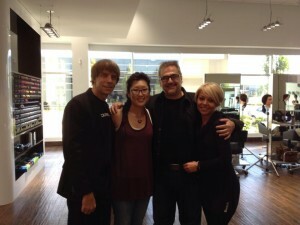 Ivo Tiberio, NEW GOLDWELL Toronto Academy. I was honoured to be the first and the last person to have facilitated a class at the old GOLDWELL Academy. 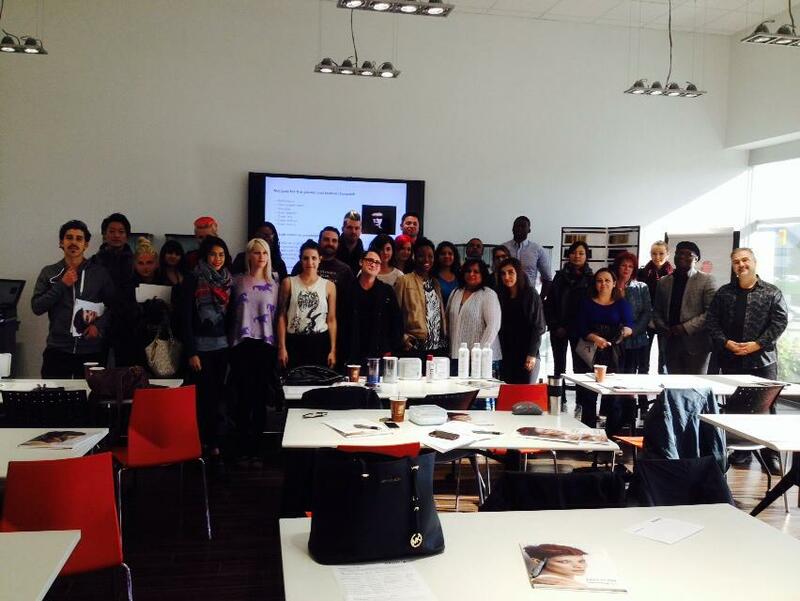 I am excited and honoured to facilitate the very first class at the NEW GOLDWELL Toronto Academy. I am so looking forward to sharing the GOLDWELL love to everyone attending Color Succession this Sunday and Monday. Thank you and the education team, for this honour. The academy is stunning, Love it!!! Master Stylists and colourists, Jamie Marie Dennis-Hartnett will be travelling to Berlin, Germany over Thanksgiving weekend of this year as a finalist to represent all of Canada in the Goldwell Global Zoom competition! In previous years, Jamie has been a semi-finalist in this competition but this year her incredible skill brought her to the National finalist position which is a huge honour! Jamie has been working at Gravity for 4 years now, but has known Ivo Tiberio for 15 years as he trained her to be a Goldwell educator. Alongside being a Master Colourist/stylist, Jamie is also an Elumen specialist and GOLDWELL Guest Artist, proving her to be very well-rounded and knowledgeable in her area of expertise. Everybody be sure to wish Jamie luck on her fast-approaching journey, here’s to hoping she brings home the big win for Canada! Competing in the Contessa competition in 2015 is our very own esthetician, Alexandra Chrustel! Alexandra is competing as a semi-finalist in the Canadian Nail Art category and we’re sure that her undeniable skill and talent will help her to bring home her category title! Join us in wishing these amazing young women the best of luck as they compete in the New Year! Gravity salon’s master stylists and colour technicians, Lindie Blackwell, currently holds the champion title of the Canadian Master Colourist for the Contessa Awards 2014 and is competing again as a semi-finalist in the Contessa Master Elite competition for 2015! Only select stylists in Canada get invited to compete in this prestigious competition which just goes to show the incredible talent that our Lindie encompasses!